I've had a challenging time with this whisky. I decided quite early on I would review it for the site. But then every time I thought I had the flavour profile nailed down I would go back to it a few days later to confirm my flavour landmarks and the damned thing would taste different. When people say this isn't for beginners they are not joking. I have more than 10 years drinking whisky under my belt and this challenged me. The whisky seems to be wound very tight. You know immediately upon your first sip it's a quality dram but there is lot going on and picking it apart is tough. I tried it with varying amounts of water before finally settling on 1 1/2 teaspoons in a 50ml measure as being the optimal for me (which is a lot. 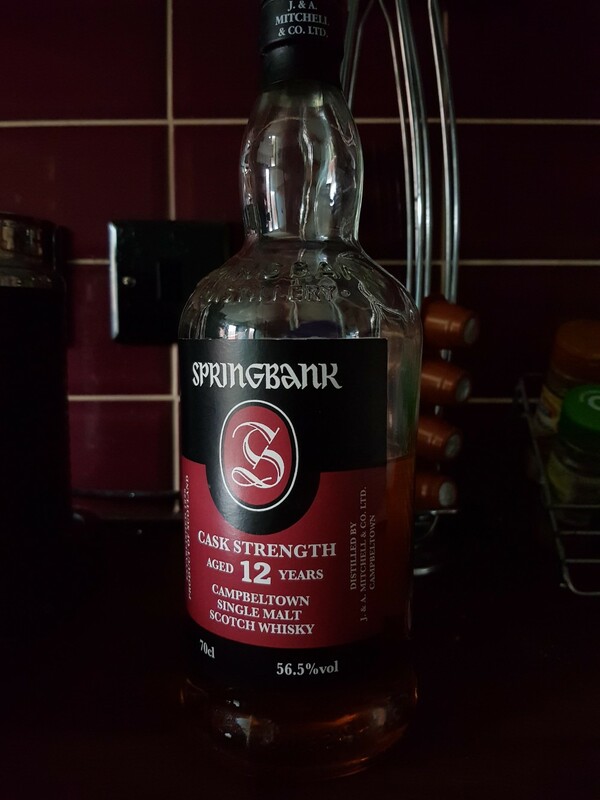 I never normally add more than 1/2 a teaspoon even to cask strength whiskies). And that's when it clicked for me. Sherry. Baked apples and fresh green apples. White wine. 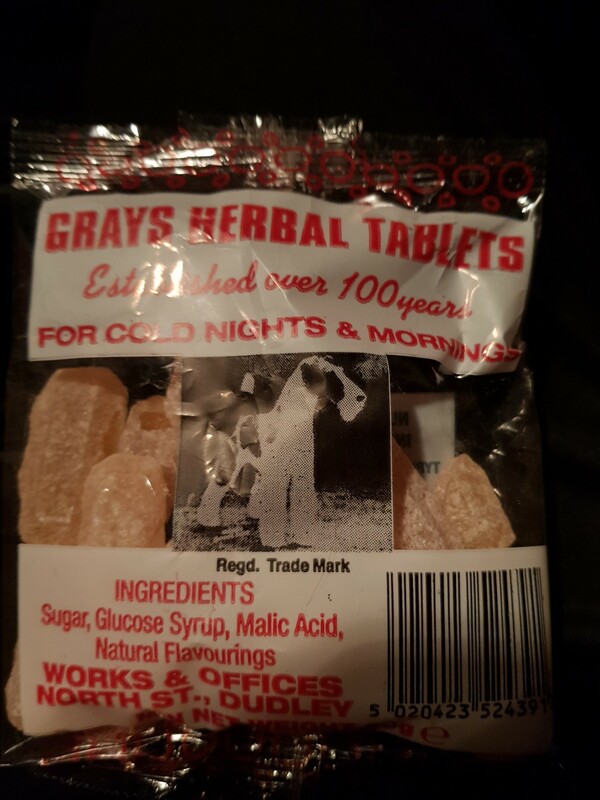 And something that I believe is specific to the Midlands of the UK 'Grays herbal tablets' (sort of a gingery cough sweet). Apple strudel. Sherry. Gingerbread men. Stewed gooseberries. Flapjack. Is quite salty and has peat. So overall. Excellent stuff. Just challenging. But I like a challenge! I've ordered another bottle of a different batch I found on-line. I know lots of people don't but I like the new Springbank labels. Very 70s retro. "Before I knew it I was halfway down the bottle and was still trying to work it out so I thought 'stop trying to analyse it Dan and just enjoy it'" Well isn't that the truth. Nice, honest review. I have two different batches open and they are quite different. 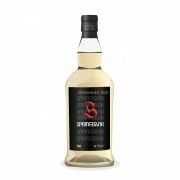 I see from your picture that this is batch 15 benswhisky.co.uk/p/… I like your reference to flapjacks. Growing up, and watching American TV shows I thought flapjacks were a variant of pancakes. Having lived in the UK I know what you are referencing and it is so accurate. Keep enjoying your bottle but save a bit to compare to your next batch! @Wierdo, I like your review and references, it's a good description of what can happen when trying too hard to analyze what's happening in your dram. Sometimes you just have to let it happen of its own accord. As for the labels, although I am partial to the previous update, these new ones are great, they just don't see to give a f@#* what people will think or to follow the current marketing angle. Thanks for the honest review! This is one I'll be looking out for this year. Never seen Gray's herbal tabs either, so must be a Midland thing :) How much white wine is present for you? It's not a note (along with overt 'cut-grass') that I'm that keen on, generally. Grays herbal tablets are from Dudley. They sell them at just about every newsagents in the Midlands. But nowhere else I think. I wouldn't let the white wine note put you off. Its only on the nose and only slight. And we're all different you might not pick it up at all. That's the thing about this malt. Its changed quite a lot in the 2 months since I opened it. Things I pick up one dram I couldn't pick up the next Very complex. Picked up a packet from a garage on the way home from work today. They're a bit like Fishermens friends (If people know what they are!) but nowhere near as in your face. Great review of a personal favorite. Now I wanna try some flapjacks! @KRB80 I'm thinking of making them. Essentially what we call oat bars here.